Spain is not Portugal, although we cannot completely rule it out. Brussels and Frankfurt want Spain to look like Germany. A grosse coalition will reassure the markets, guarantee the prevalence of budgetary orthodoxy and, on the surface, maintain at least the status quo, something very important to the European institutions, the financial powers and the European political class who doesn’t like changes. But wishes are one thing and reality is something very different. The numbers are what they are. Neither the right block (with the Popular Party and Ciudadanos) has enough seats to form a government, nor do the seats tally up for the old Socialist Party (PSOE) with the emerging new left Podemos. Only a grand coalition between socialists and conservatives, the two parties that have monopolised power since the end of the Franco dictatorship, can create a government with a clear parliamentary majority. The political landscape that has emerged from these elections shows very clearly the consequences of the devastating economic and financial crisis and the austerity measures introduced by the PP. The rough road that common Spaniards have crossed in the last four years has been full of sound and fury implemented through an absolute majority in the Parliament that has colonised, not only the government but also the legislative and has even manipulated the judiciary in order to hide the numerous cases of corruption. That's why the grand coalition of PP-PSOE that Brussels and Frankfurt desire is, in my opinion, impossible. One only needs to remember the extreme hardness of the debate between PSOE leader Pedro Sanchez and the outgoing conservative Prime Minister Mariano Rajoy, in which there was no shortage of personal insults. It seems quite clear that, for PSOE, a pact with the PP would be the closest thing to a bear hug, and then Spain would be Greece, and PSOE like PASOK. The leftist alliance, on the other hand, presents enormous difficulties. The first is Catalonia, where the result of the elections was completely different than in the rest of Spain. The PP is bordering on the irrelevance and the Socialists, until recently the hegemonic force, have fallen to historic lows. In Catalonia the victory belonged to the local franchise of Podemos, supported by the charismatic mayor of Barcelona Ada Colau. The parties who want independence, which have been unable to form a government since the elections in September fell dramatically in the national polls on Sunday, especially the one of the still acting president Artur Mas. It happens that Podemos included in its programme the promise of a referendum for the citizens of Catalonia to decide if they want to stay as part of Spain or not. That is something impossible to accept for PSOE. Now comes Christmas. The procedure will officially begin on January 13, when the new deputies will be sworn in and a speaker is elected. Then, king Felipe VI will have to propose a nominee to head the Spanish government. Nobody will succeed in the first ballot, which requires an absolute majority. The next vote will require a simple majority; more yeas than nays. But both PP and PSOE have enough nays to prevent either of them winning. 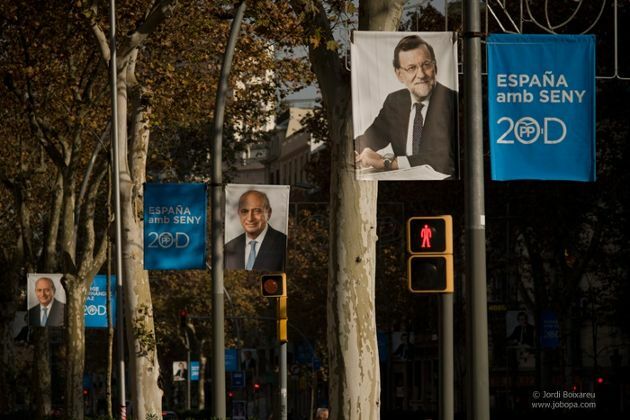 Chances are that by early spring Spaniards will be called to the polls again.